Poultry farming involves the rearing of chickens, geese, ducks and other birds for the purpose of man. In this post, I shall narrow the discussion to only chicken rearing. I had chosen to narrow the discussion or I had chosen to speak only about chicken because chicken is the most common kind of bird and livestock sold commercially for profit in Nigeria and in Africa. Other major livestock includes sheep, goats, cattle and pigs. Chicken rearing is indeed among one of the most lucrative agricultural business you can engage yourself in. There is a very large output of chicken in the country for instance, in the year 2003, Nigeria was able to produce an estimate of 137, 600 chickens. Yes, this figure is very high and may trigger fear in you, as the thought of high competition would want to wander through your heart. Well, even though the country, Nigeria was able to produce such a huge number of chickens, the number of chicken is still not able to meet up with the demands of the Nigerians. Therefore, there is a need to encourage the will or desire to venture into poultry farming. In this aspect of poultry farming, the intent of breeding is to train the chicken to the point of procreation or reproduction. The chickens here are called layers because they are the breed for the purpose of laying eggs. The eggs are sold and you make your money. When most of the chickens are old enough to the point that they cannot give birth, you would have to sell them away for money. Broilers are chicken that does not lay eggs. They are normally very big. Due to their size, they are sold higher at price than layers. This is another aspect or category of poultry farming. However, the hatching of birds can be very tricky. The birds to be hatch are very fragile and may die at the slightest mistake. This is a challenge yet an opportunity. 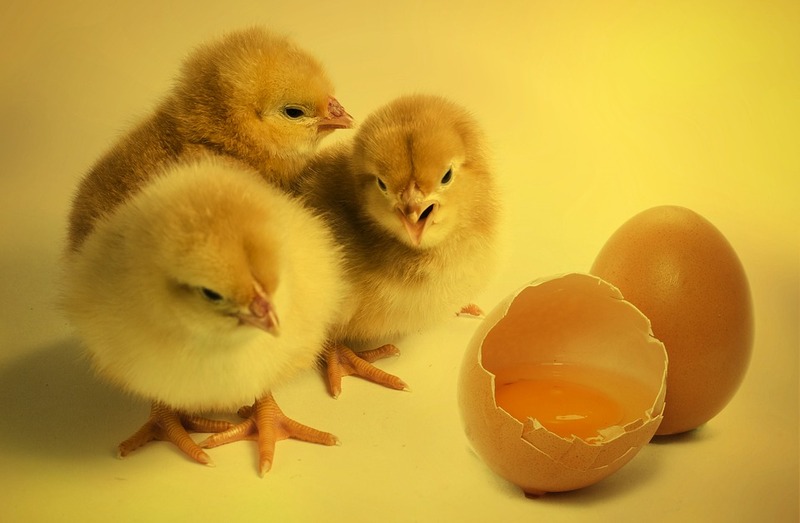 A large number of farmers wouldn’t want risk that chance of hatching birds and losing them away, therefore they buy hatcheries from other poultry farms that are skilled at hatching the eggs of chickens. A good and precise business plan that is easily intelligible by you is what you need next. A business plan is an overall view of how you want your poultry farm to look like. This is important to ensure the smooth running of the business and tackle challenges that you may likely face. 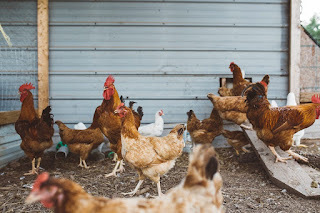 Like I mention, there are areas of poultry farming worth recognizing, these areas include layer breeding, hatcheries, broilers breeding, production of birds feeds and consultancy. You can choose among these areas or you can choose to participate in all of it. Remember, choosing to participate in all of the areas of poultry farming can be too capital intensive and would require a lot of knowledge and skills. So for a newbie with very little experience, I would advise you to choose a particular area of focus. Expansion should be later considered when you have gained enough practical knowledge on that area of focus you ventured in. The next item that should be included in your business plan is land. The location and the size of the land should be considered. There are so many places that you can secure a good land for your poultry farm. I would want you to realize that the cost of the land does not really play any role in the greatness of your poultry farm business. So rather than renting and buying a very expensive land, go for an affordable land. Also, when we talk about land as a facet of a start up procedure to a poultry farm business, you must consider size. The size of your land is determined by the size of your poultry farm business. A plot or less is appropriate when you are just starting out. The startup capital up l should also be included in your business plan. The startup capital is influenced by all the apparatus or equipment, the land and so on, that is needed to run your poultry farm. To gain in-depth knowledge of the cost analysis of your poultry farm business, you need to be aware of everything that will eventually cost you when starting and running your poultry farm business. The cost of land in Nigeria varies. A plot of land may cost NGN500, 000 at some location while it may cost less at another location. But if you want to start really cheap, you can simply rent a plot or less in a localize area. a. A waste Disposal System: This equipment is where you will dispense waste that is coming from your farm. b. Lighting and heat: This is needed in cases where the poultry farm is dark maybe as a result of the weather condition. Normally, electricity is used as a source of lighting and heat, you can deploy the use of locally made lamps. c. Source of Water: You must provide a clean source of water for your birds if you want them to survive. d. Feeders: This poultry equipment is where you put the chicken’s feeds when they wish to eat. e. Storage room: This contains the feed, vaccines and eggs of your chickens. f. Drinkers: This is where the birds drink from. The housing structure off your chicken is another decision you must make. There are several housing structures and each comes with its own benefits. Let us discuss about the several housing structures, shall we? In this method of housing, saw dust are needed. Saw dusts are small pieces of woods that fall as powder when the woods are cut by saw. A great number of saw dust are spread on the floor of the poultry farm. This saw dust would help greatly in waste disposal because all the wastes of the chickens are found on the saw dust. As a result of this, the saw dust would have to be continually changed from time to time to ensure a clean environment. One of the advantages of this housing structure is that the saw dust can be easily gotten. This is because saw dusts are useless to carpenters and therefore taking it out of their shops is similar to taking out the trash. This option is not too advisable if you wish to go into commercial poultry farming. In free range method of housing your birds, the chickens are allowed to roam around free and wild. In other words, they are allowed to fend for themselves or to survive on their own without you contributing much. The advantage of this housing structure is that it is extremely cheap, the disadvantages is that your chickens would be so skinny. Skinny chickens are sold at a very low price in the market. As the name implies, your chicken are housed within cages. They do not roam around the streets free and wild, rather they are secured within their cages. These cages vary in size which is influenced by the size of the chickens. This method of housing your chickens can be expensive but it is very suitable since you wish to run a commercial system of poultry farming. 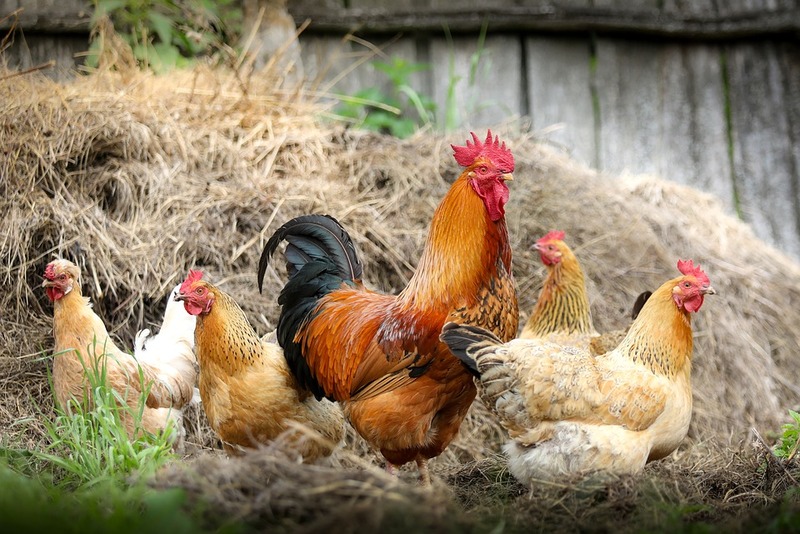 One of the major costs you would be faced with is the feeding of your chickens. Feeding influences the size and health of the birds. However, feeding is often a major challenge that has made a colossal number of people quit the poultry farm business. Just like humans, chickens eat excessively. To be sincere with you, buying chicken feeds at all time would lead to an elaborate expenses. So in cases like this, you need to improvise. You need to feed your chickens locally using eatable chaffs, bread crumbs and so on. This will save you the costs. You need to buy day old chick to start up your poultry farm. The cost of a day old chick is normally the range of NGN150 to NGN300. Yes! You have read about the poultry farm business from variety of sources and you feel it is time to take off. No! Not quite yet. Before you decide to start up your own poultry farm, you need to gain a little practical knowledge or experienced. A best way of gaining this experience or knowledge is from an already successful poultry farm. Yes, go there and make inquiries; know their challenges, know the market price to which they buy their commodities, know what gives them determination to continue their poultry farm business and so on. Good luck, as you take a very bold step. No Response yet for "Guide to Starting Up a Lucrative Poultry Farming Business"